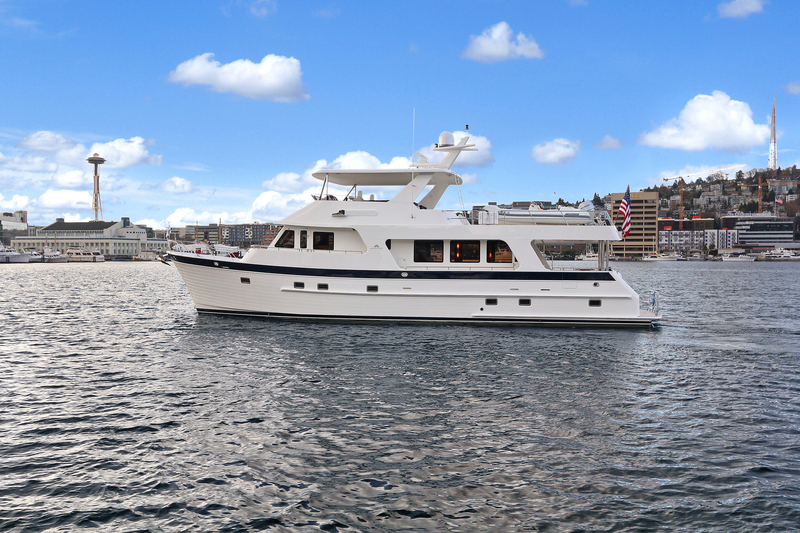 Join Outer Reef Yachts at the 2017 Seattle Boat Show and step aboard the 2014 700 Outer Reef Classic DOGO'S HIDEOUT. If you have not been aboard an Outer Reef Classic Series 700 Motoryacht, you are in for a treat with this NW appointed yacht! DOGO'S HIDEOUT is an as-new motor yacht that has been boathouse kept since new and has under 150 hours of use. If you are looking for a West Coast Cruising yacht that offers everything you need to comfortably cruise in the Pacific Northwest to Alaska and beyond, this is the yacht for you. Register here to meet with an Outer Reef sales representative at the show, who will gladly tour you through this spectacular yacht and discuss other opportunities within the Outer Reef Classic and Trident collection.